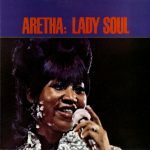 Aretha Franklin’s ‘Lady Soul’ came out on this day in 1968. We’ve got that (on vinyl!) and more for you this morning on KXT. Aretha Franklin on vinyl, Frank Zappa, The Band and your New Music Monday picks — here’s what you heard this morning on KXT.